Bills to ban armed teachers, make it easier to seize guns, and stretch background checks to as long as a month marched easily through Albany on Tuesday. 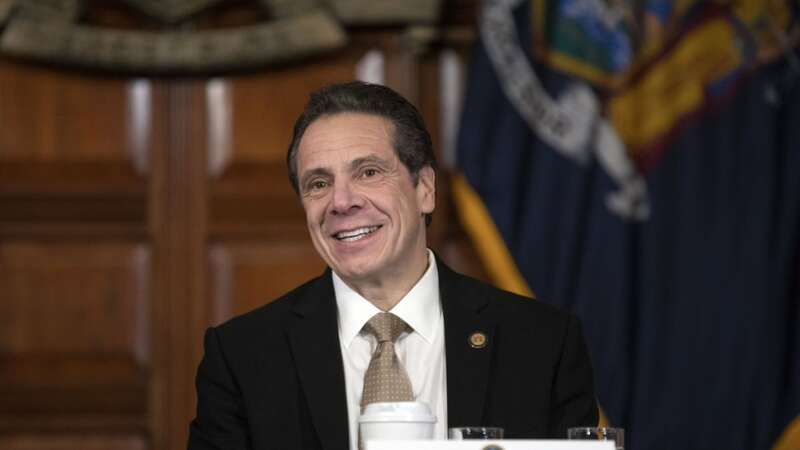 In all, at least a half-dozen joint measures were approved by the Democrat-controlled New York Assembly and Senate through the combined efforts of Speaker Carl Heastie and Senate Majority Leader Andrea Stewart-Cousins as Gov. Andrew Cuomo presided over a meeting with members of state and local gun control groups to celebrate the move. S.2451/A.2689 – would establish Extreme Risk Protection Orders in New York which would allow police, household members and school officials to get a court order forcing a gun owner thought to be “at risk” to hand over their firearms for up to a year pending a hearing. S.2374/A.2690 – would stretch the current 72-hour “Default Proceed” period allowed by gun dealers in the state for delayed background checks to as much as 30 days. S.2448/A.2684 – would ban the possession of a device that “accelerates the rate of fire” of a firearm, which includes a variety of items besides bump stocks, making New York’s law more aggressive than the pending federal ban on such devices. A violation would be a Class E felony, which could draw as much as 5 years in state prison. S.101A/A.1715A – Prevents K-12 schools in the state from authorizing anyone other than security or law enforcement to carry a gun on campus, a move that would make it illegal for teachers or faculty with concealed carry permits to be armed at school, even with the approval of local school boards. Criminal possession of a weapon on school grounds is a Class E felony. S.2449/A.2685 – Would establish a “Municipal Gun Buyback Program” that would set rules for all such buyback programs across the state as well as a fund to pay for the guns. S.2438/A.1213 – Requires out-of-state applicants for gun permits to waive the confidentiality of mental health records so that New York authorities can review them. Most of the bills have been on tap in Albany for years but were repeatedly swatted away by a Republican-controlled state Senate. With Dems now holding a majority in both chambers of the legislature, the package sailed through to the applause of groups ranging from the Brady Campaign to Giffords.